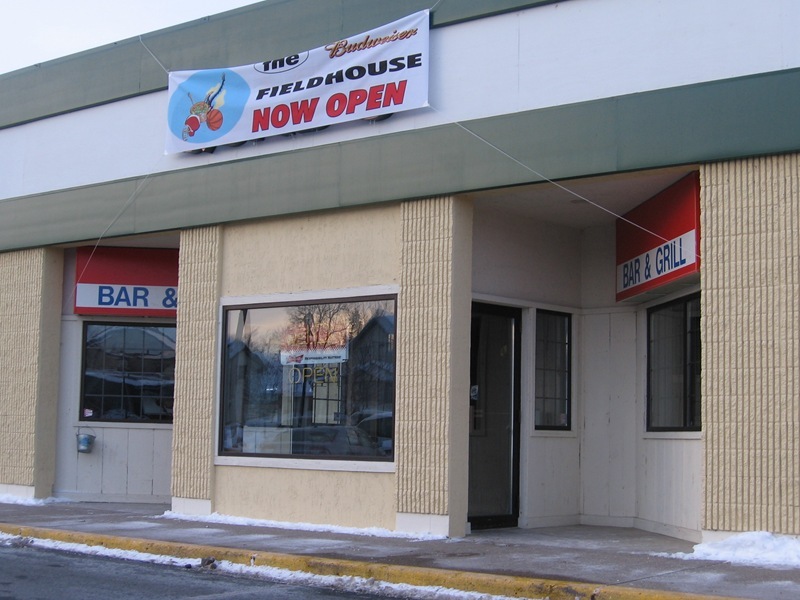 Recently known as Diamond Dave’s, Dad’s, and then Quad’s, the restaurant in River Park Mall has now reopened as The Fieldhouse. The newly reopened place now has new hardwood floors and carpeting, updates to the kitchen, and some of the walls were taken down to open and brighten the place. I don’t think the place was ever called “Chad’s.” It was Quad’s for a while. And what sort of place is it? Standard bar fare? Something different or special? Inquiring minds want to know (without spending money!). Thanks for the correction, Jim… yep, it was Quad’s. Fixed! It’s used to be standard bar fare, and I’m assuming it still is. I’ll try to stop by and get a photo of the menu. I stopped in to check it out, asked to see the menu, and check the place out before I stop in with my family. The place looks really nice inside, and the renovations are quite signifigant. The only problem is, they have the same old menu items that they have always had, even through all the name / owner changes. There seems to be very little or nothing new. Heggies Pizzas, burgers, wings, etc. Same same as Dad’s and Quads, and the shortened menu once Diamond Dave’s dropped thier franchise agreement. I was really hoping for something better… maybe that menu will change as well. It is wide open, but did not strike me as family friendly, and the kids menu is still lacking. Mac & Cheese, Corn dogs, burger, chicken strips. We may try it at some point, but there is nothing drawing our family there, even if it is a downtown business. I don’t get the impression that they are going after the family friendly dining demographic anyway. I still percieve it as a “Sports” bar with bar food. Our family will wait and see, but it is an improvement over the old, smoky, dark predecessor. How about some daily specials? How about a website with those specials? There is also a very large open floorspace… I’m thinking bands/Karoke/DJ’s. It will be interesting to see how it is marketed. Thanks much for the report on The Fieldhouse, John. I heard that the Fieldhouse was either closing or re-opening under new owners (again). Is that true? If it was sold and re-opening, will it be getting another new name?